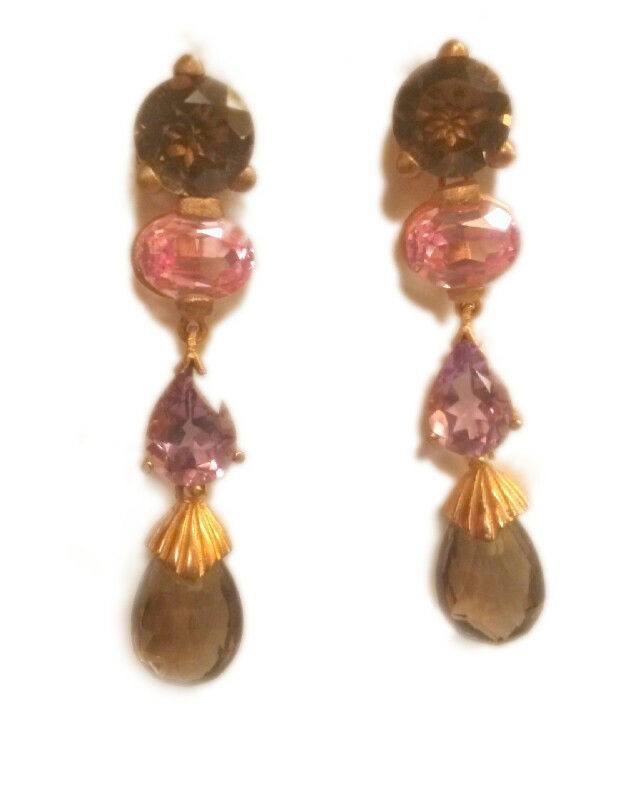 Silver EARRINGS gold plated rose, with natural stones. 2 rose 7X9MM OVAL France. 2 AMETHYSTS length KNOB 7 X 9 ' 50MM. 2 smoke size KNOB BIDACHE 13X9MM.